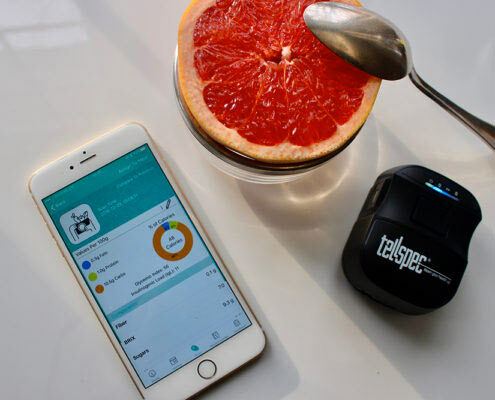 This morning, TellSpec CEO Isabel Hoffmann, leader of the company behind the world’s first consumer food scanner, will speak at The Future of Food in Porto Portugal. 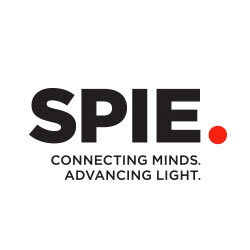 Hoffmann’s talk about the impact of the work that Tellspec is developing and give examples of this work. 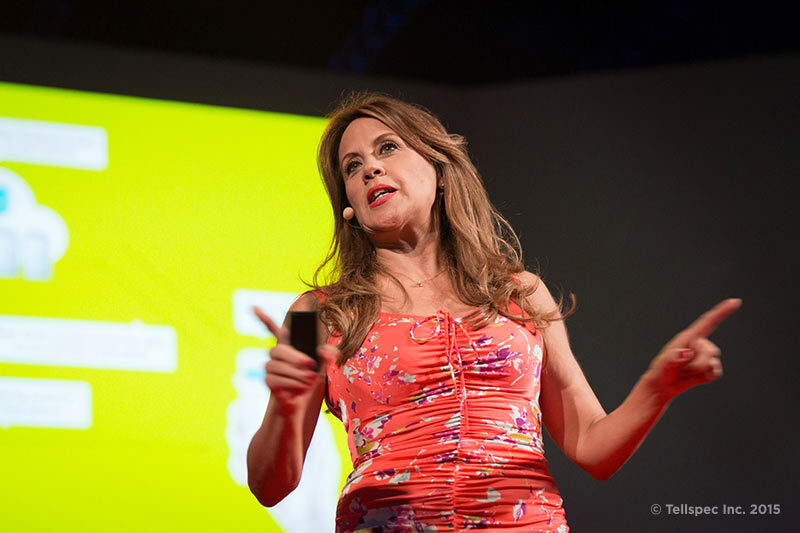 “We are creating a digital trace for food, which so far has never been done. 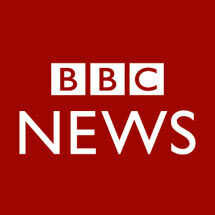 “ said Hoffmann. 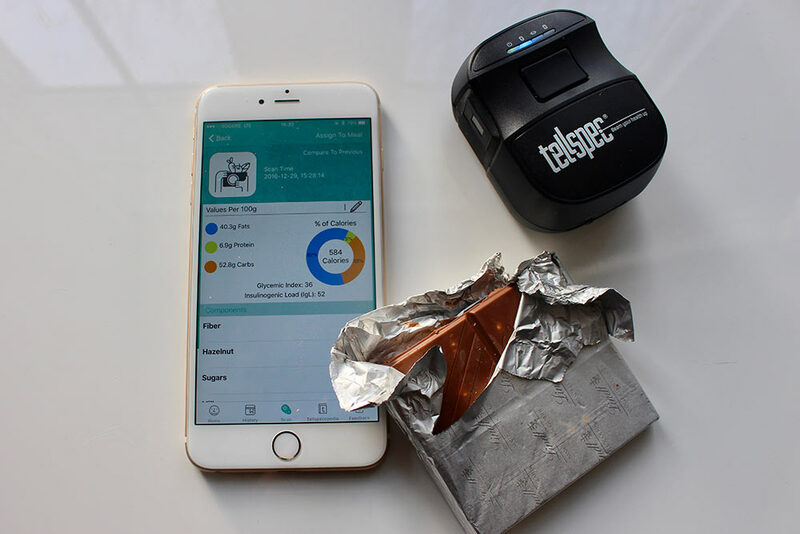 TellSpec is made up of a pocket-sized scanner, a proprietary algorithms and mobile app that work together to report what’s in your food directly to your smartphone. 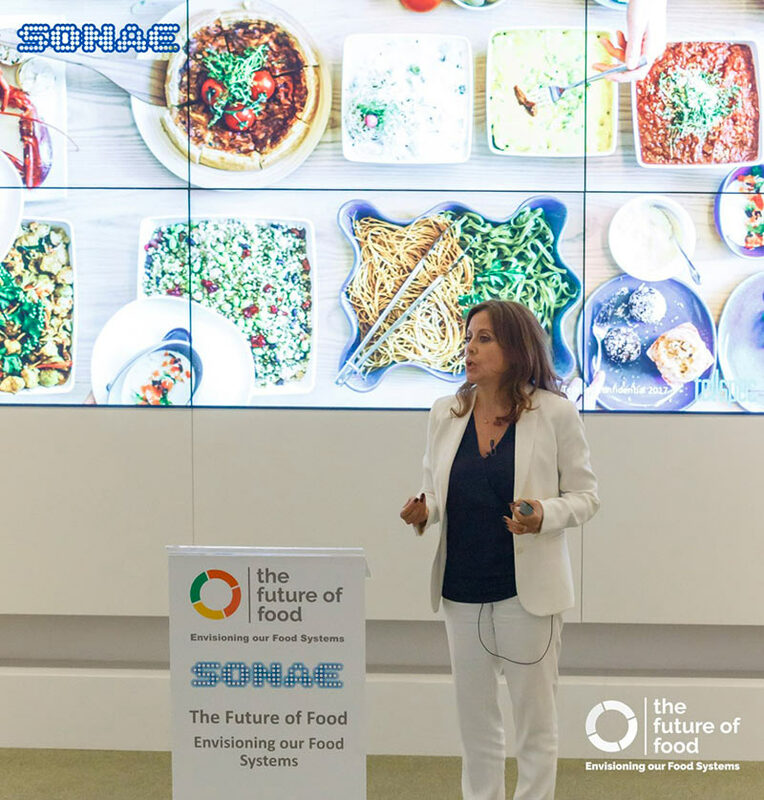 The Future of Food is a 2-day conference that celebrates human ingenuity by exploring ideas, innovation and creativity for food solutions. 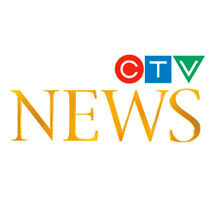 This event is organized by Sonae, a Portuguese retail company with two big partnerships in the shopping centres areas and the Software and Information Systems, Media and Telecommunications. Sonae has around 40,000 employees and is present in more than 60 countries. 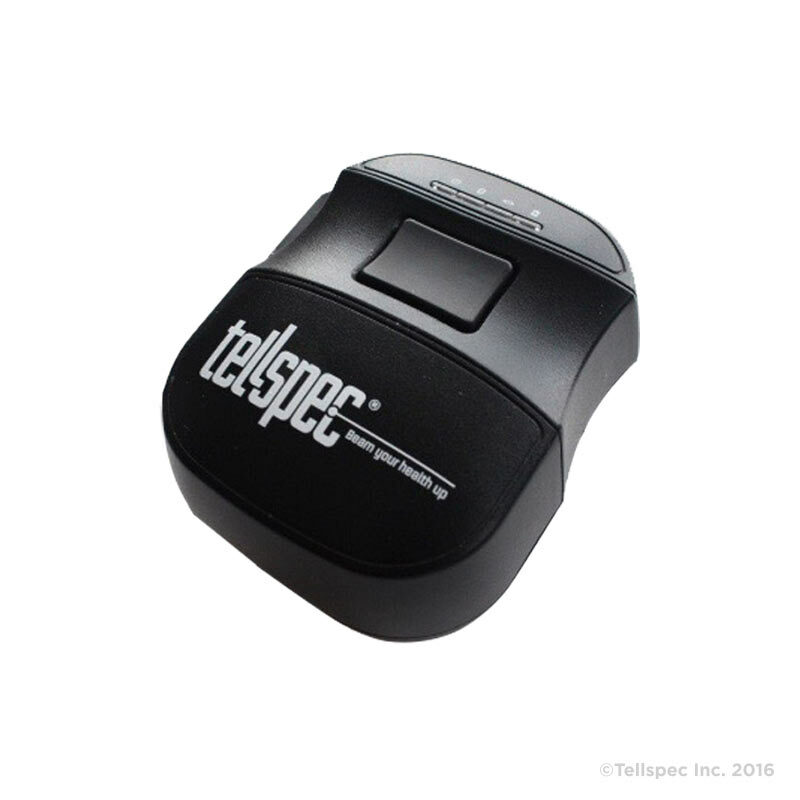 Tellspec selected as to participate in Impact Growth acceleration program led by ISDI, Acelerace and FundingBox. 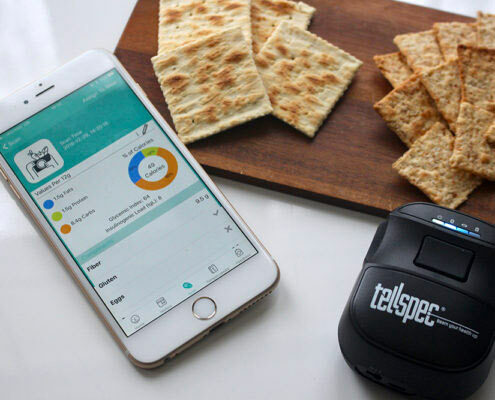 In the afternoon of May 9th, TellSpec CEO Isabel Hoffmann, leader of the company behind the world’s first consumer food scanner, will speak at Seeds & Chips, in Milan Italy. Hoffmann’s talk about the power of big data in the food system. 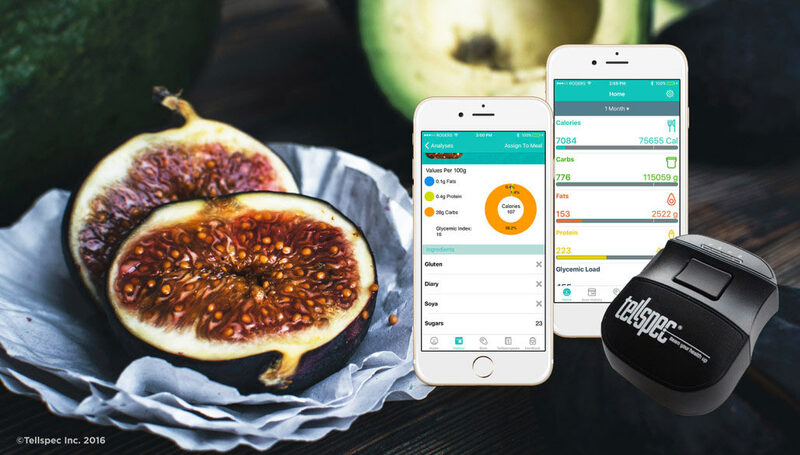 “Our patented AI-based real-time cloud analysis can one day help monitor events of food fraud as well as of food contamination locally and in specific regions, thereby helping consumers and authorities to make choices to prevent the onset of health issues related to food.” said Hoffmann. 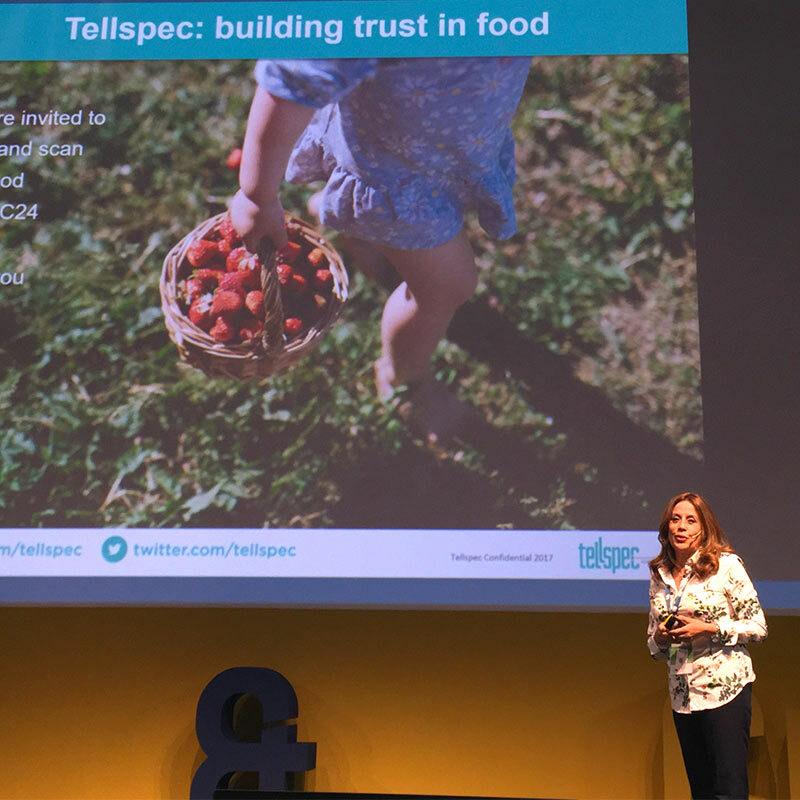 TellSpec is a data company with the mission to build trust in food by offering real time, affordable, reliable, nondestructive food analysis. 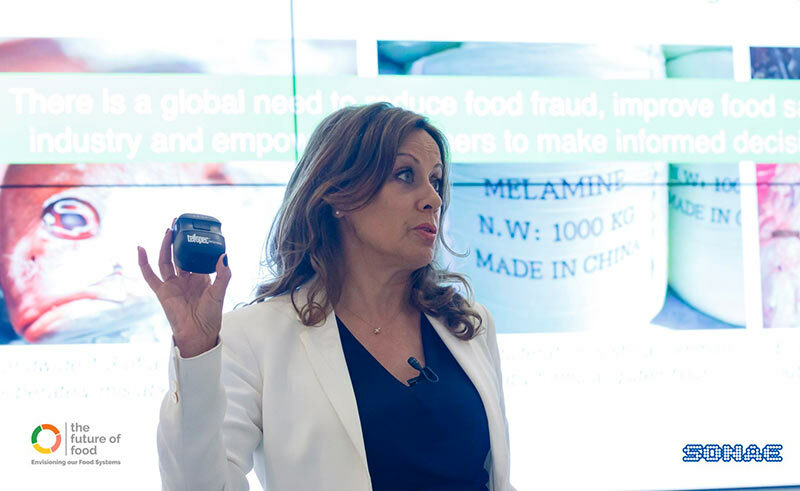 Our disruptive technology can be used across the complete food and drink supply chain. Seeds & Chips is a 3-day conference that brings food and technology together, from farm to fork and beyond. 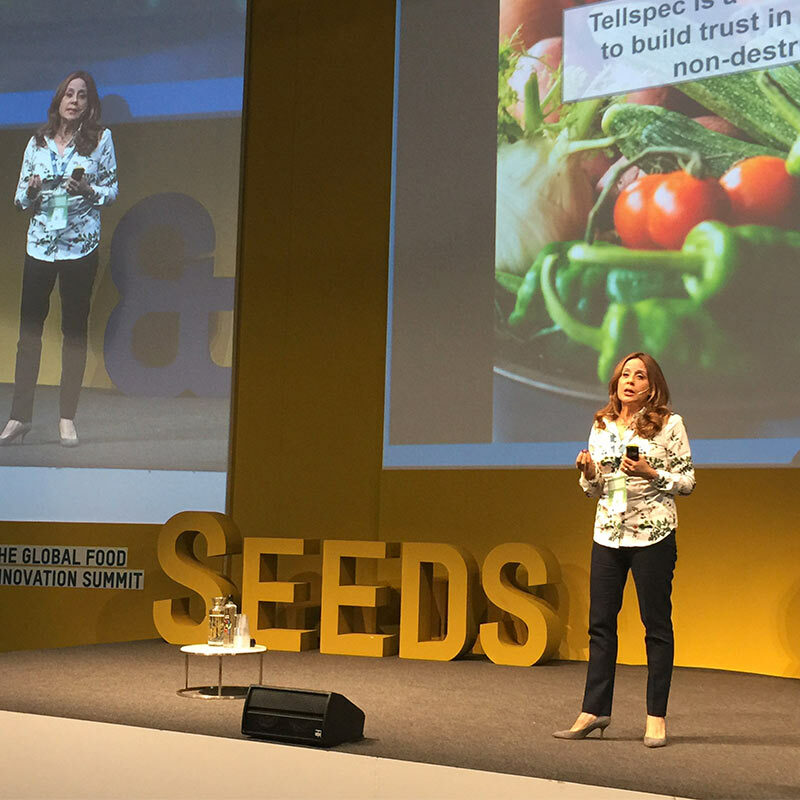 Seeds&Chips Global Food Innovation Summit is one of the top Food Innovation events worldwide. The 44th US President Barack H. Obama will be the guest of honour at the third edition of Seeds&Chips and will be at The Global Food Innovation Summit on Tuesday May 9. 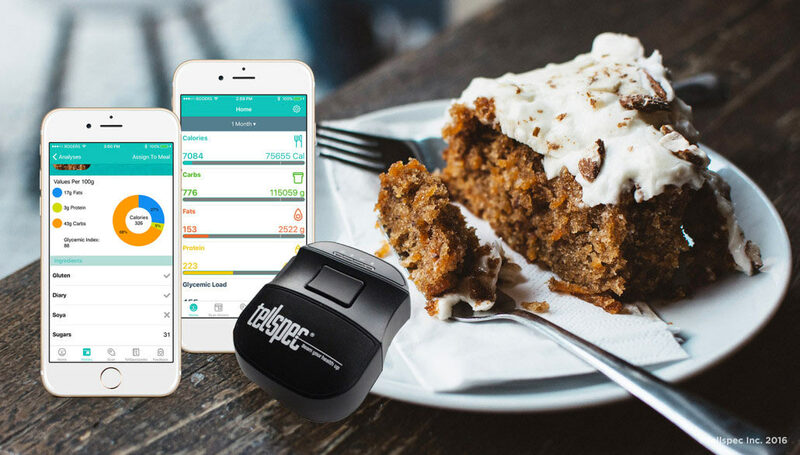 Toronto – March 20th, 2017, Tellspec LTD, a data company that provides predictive intelligence about food by combining spectral sensors and machine learning in a revolutionary technology that analyzes foods at the molecular level, announces that the company is one of the three winners of the Food Scanner Horizon Prize, awarded by the European Commission Horizon 2020. The Horizon Prizes are ‘challenge’ prizes (also known as ‘inducement’ prizes) offering a cash reward to whoever can most effectively meet a defined challenge. 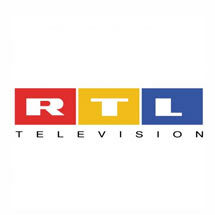 The aim is to stimulate innovation and come up with solutions to problems that matter to European citizens. 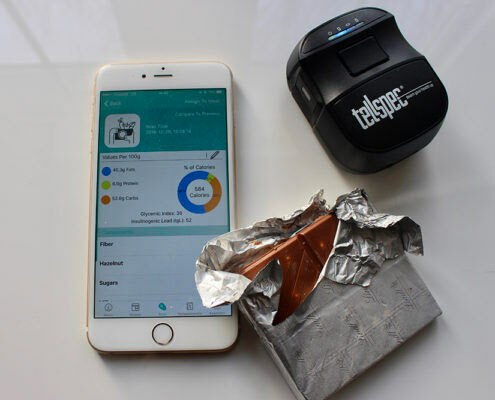 A total of 1 million euros was awarded to three innovative companies, including Tellspec LTD., who cracked the challenge of developing an affordable and non-invasive mobile solution that analyses precisely, quickly and efficiently food composition, nutrition facts and potentially harmful ingredients such as allergens. 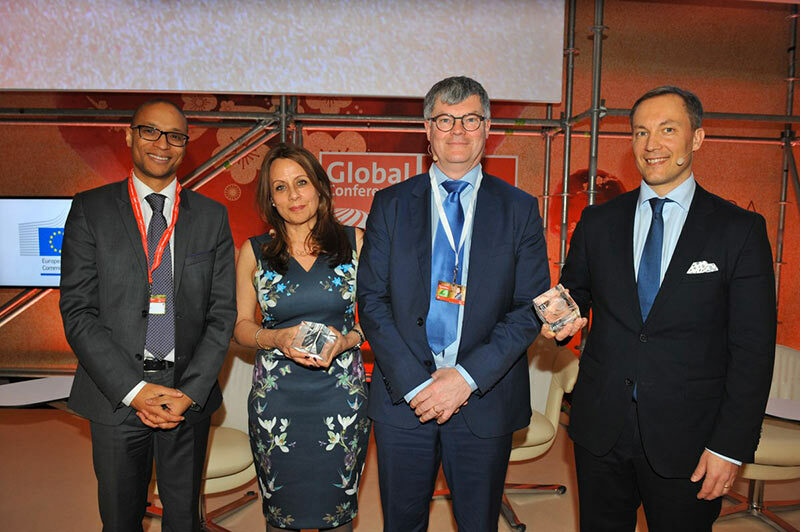 Isabel Hoffmann, Founder and Chief Executive Officer, represented the company and its mission, to help create a clean food revolution, in this competition on both November 29th, 2016 in Brussels and then on March 20th 2017 at the award ceremony that took place at the opening of CeBIT in Hannover Germany. 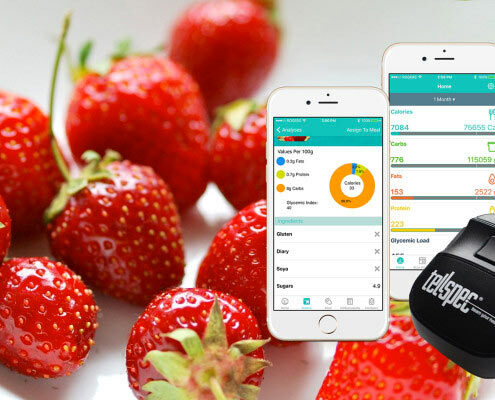 The objective is to unlock the eHealth market with solutions that support citizens in adopting a more active lifestyle and in improving their health by better monitoring food intake. 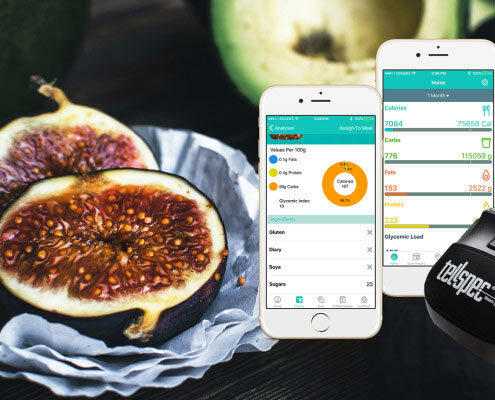 The expected results are an eHealth solution that enables citizens to assess their food intake and provide optimal recommendations to improve their health and well-being. The solution should benefit a wide range of the EU population, from healthy citizens to citizens suffering from food disorders, obesity or allergies. Horizon 2020 is a funding program created by the European Union/European Commission to support and foster research in the European Research Area (ERA). It is the eighth of the Framework Programs for Research and Technological Development funding research, technological development, and innovation with the focus on innovation, delivering economic growth faster and delivering solutions to end users that are often governmental agencies. 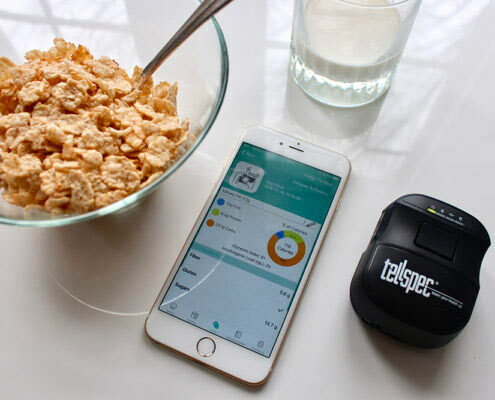 Tellspec LTD is a company with a mission to help create a clean food revolution by providing the most relevant and accurate information about what is in food. 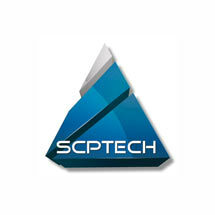 We offer an end-to-end solution for food testing, food-safety, food-authenticity and diet tracking. 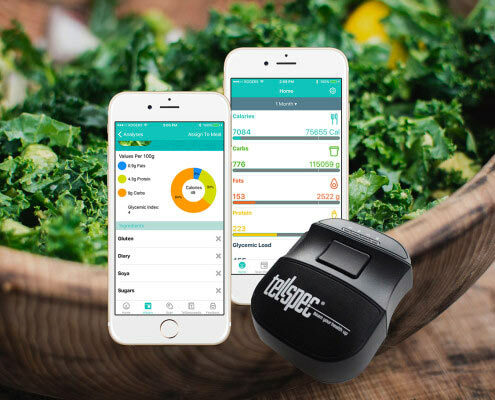 Tellspec awards include Winner of the Seeds & Chips award for Best Diet Solution, April 2016, Italy; Winner of the Innovation Prize, category Health, MedPi, May 2016, Monaco; Award winner at the European Food Venture Forum, September 2016, Denmark; Award winner at the European Venture Summit, December 2016, Germany; Winner of Humanitarian Water, Air and Food award (WAFA), January 2017, Denmark. 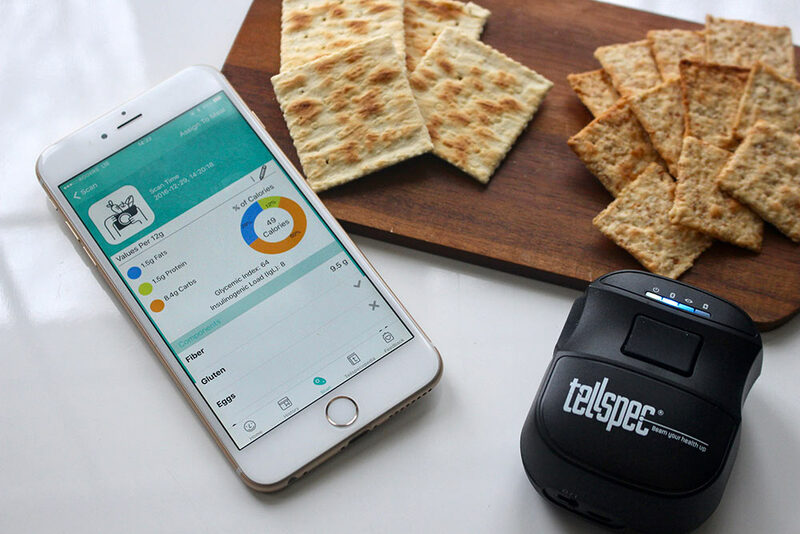 Toronto – March 10th , 2017, Tellspec USA, a data company that provides predictive intelligence about food by combining spectral sensors and machine learning in a revolutionary technology that analyzes foods at the molecular level, announces that the company has own the third top prize at the 2017 Venture Madness competition. 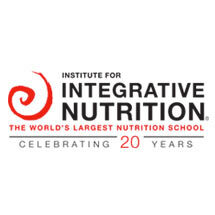 Isabel Hoffmann, Founder and Chief Executive Officer, represented the company and its mission, to help create a clean food revolution, in this competition on a three-day live event on March 8-10, 2017 in Scottsdale, Arizona. 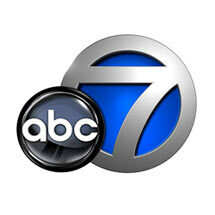 Venture Madness is presented by Invest Southwest in partnership with the Arizona Commerce Authority. 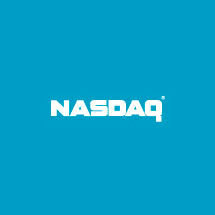 Since 1992, Invest Southwest has helped startups raise more than $300 million in capital while being the premier organization that connects investors with the best and brightest ventures in the region. For more than 20 years, it has served the entrepreneurial community primarily through the annual Invest Southwest Capital Conference. In 2013 Invest Southwest introduced its signature event, Venture Madness, in partnership with Arizona Commerce Authority. This inaugural event has led to the year-round calendar of events to help strengthen the growing ecosystem. 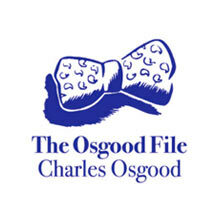 For more information about the Venture Madness, please visit the event web site. 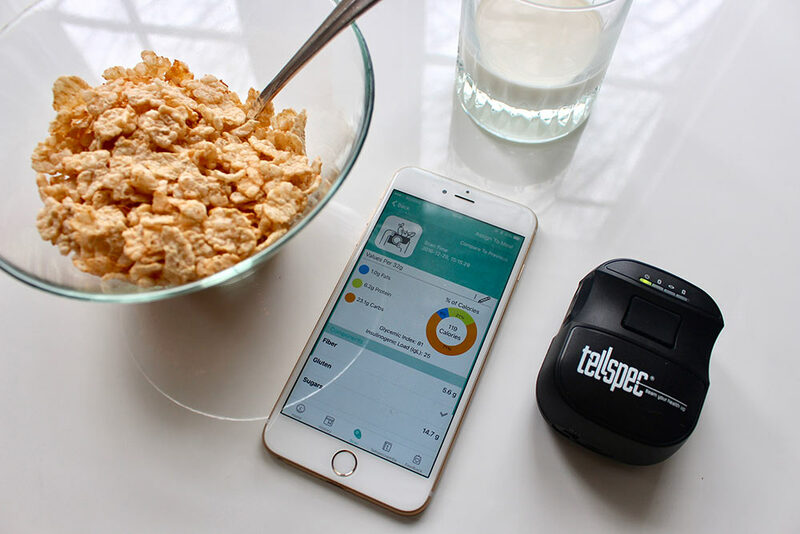 Tellspec USA is a company with a mission to help create a clean food revolution by providing the most relevant and accurate information about what is in food. 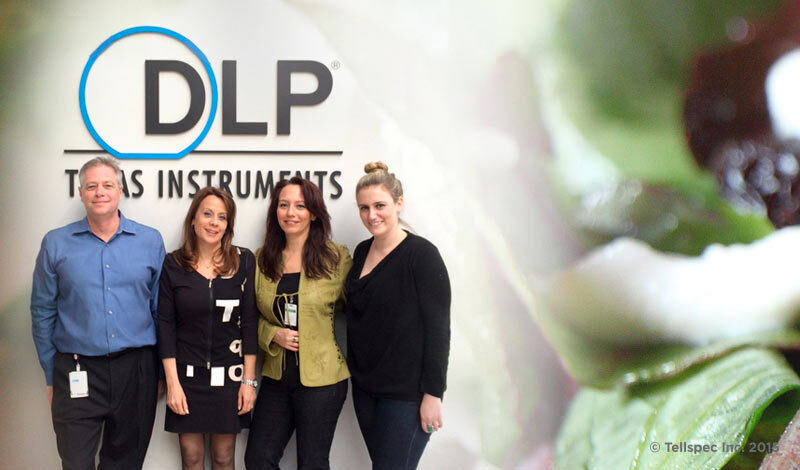 We offer an end-to-end solution for food testing, food-safety, food-authenticity and diet tracking. 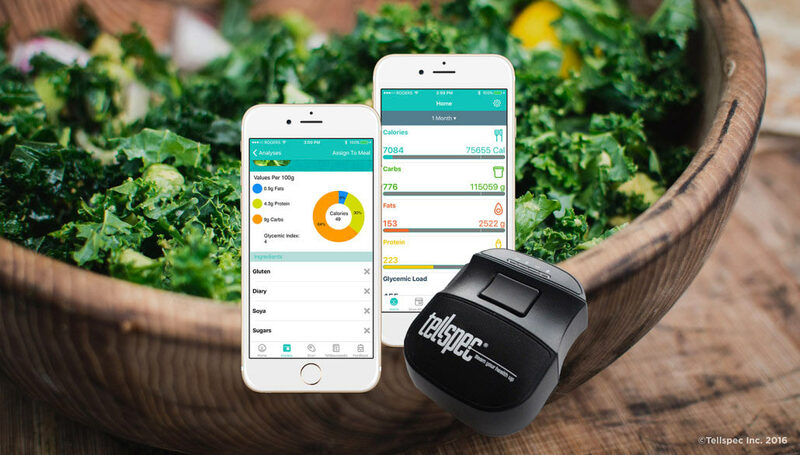 Tellspec awards include Winner of the Seeds & Chips award for Best Diet Solution, April 2016, Italy; Winner of the Innovation Prize, category Health, MedPi, May 2016, Monaco; Award winner at the European Food Venture Forum, September 2016, Denmark; Award winner at the European Venture Summit, December 2016, Germany; Winner of Humanitarian Water, Air and Food award (WAFA), January 2017, Denmark. 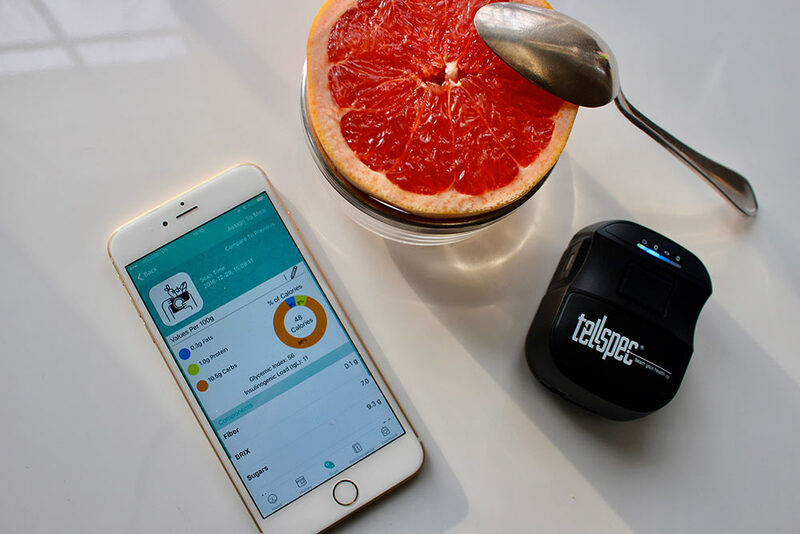 Toronto – February 3rd, 2017, Tellspec Inc., a data company that provides predictive intelligence about food by combining spectral sensors, bio-informatics techniques & learning algorithms in a revolutionary technology that analyzes foods at the molecular level, announces that the company has been selected to be one of the top 16 companies that will advance to the live-demo portion of the 2017 Venture Madness competition. 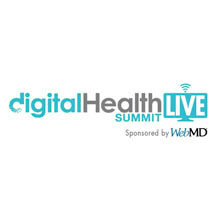 Isabel Hoffmann, Founder and Chief Executive Officer, will represent the company and its mission, to help create a clean food revolution, in this competition at a three-day live event on March 8-10, 2017 in Scottsdale, Arizona. 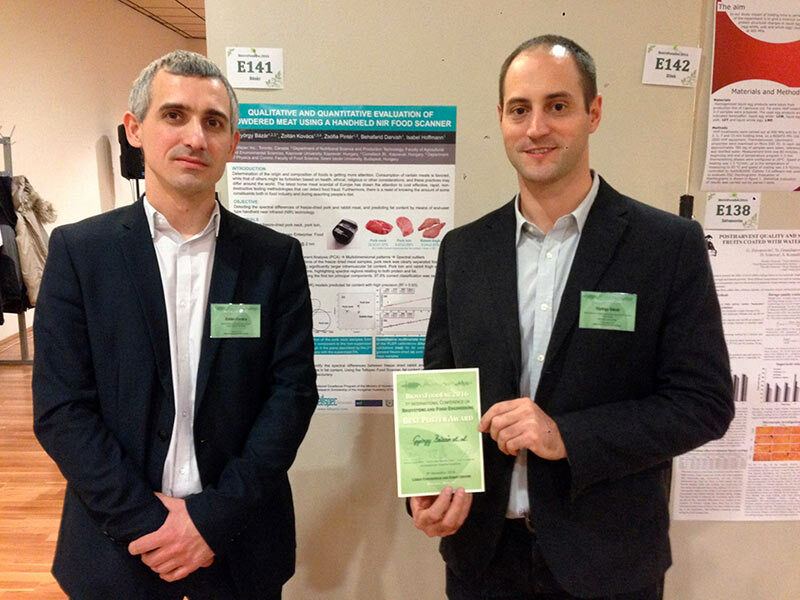 Biosystems and Food Engineering Conference in Budapest awards Tellspec as the best scientific poster for the work presented on freeze-dried meats. 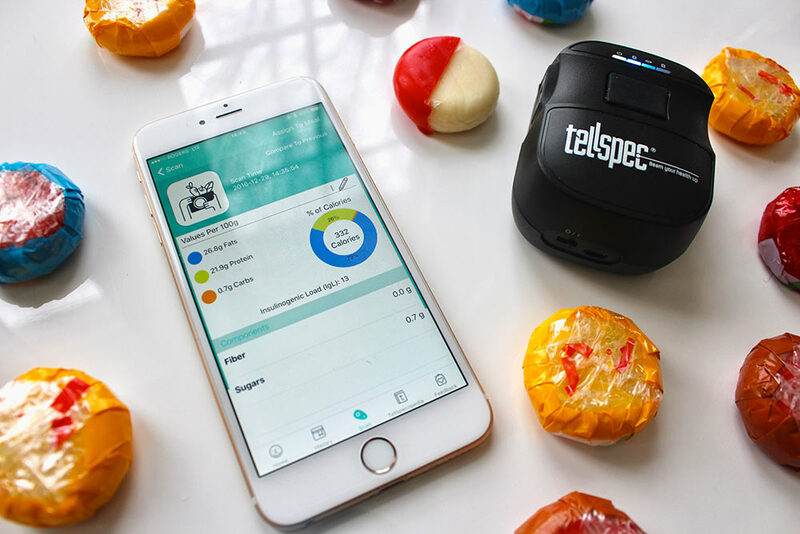 Tellspec is a winner of the European Venture Contest in the Life Science category. 110 presenting companies at the European Venture Summit were invited as the top rated companies of the European Venture Contest, selected over a series of regional or sector–focused qualifying events which composes the Contest. 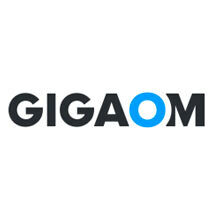 These 110 companies were reviewed online and onsite by investors and the investor jury on 7 criteria. 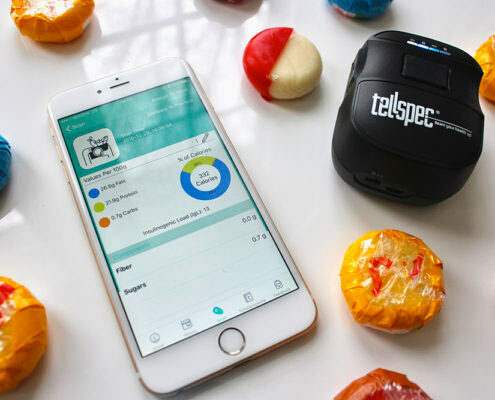 The Top winners got the highest review ratings following the online screening and onsite pitches, and Tellspec was selected to be one of those winners. 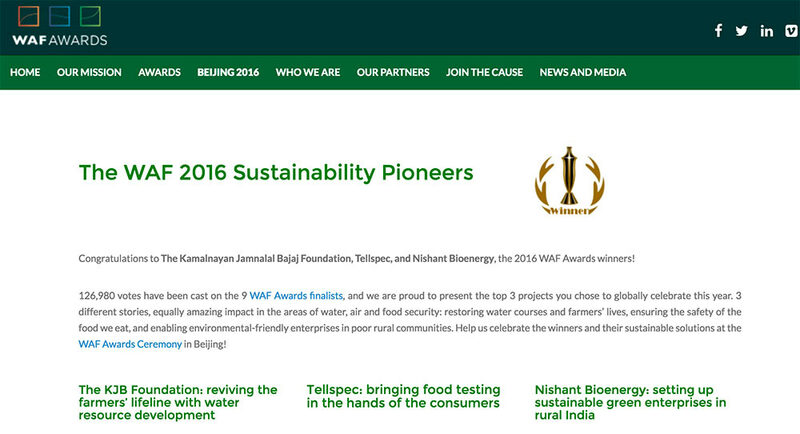 Tellspec wins The Humanitarian Water Air and Food Award (WAF award): awarded in the category of food safety. 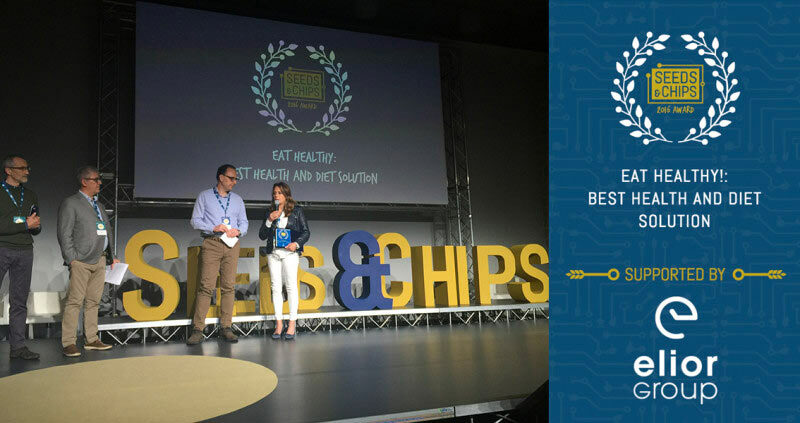 Tellspec wins the Best Health and Diet Solution Award at Seeds and Chips 2016 in Milan, Italy. 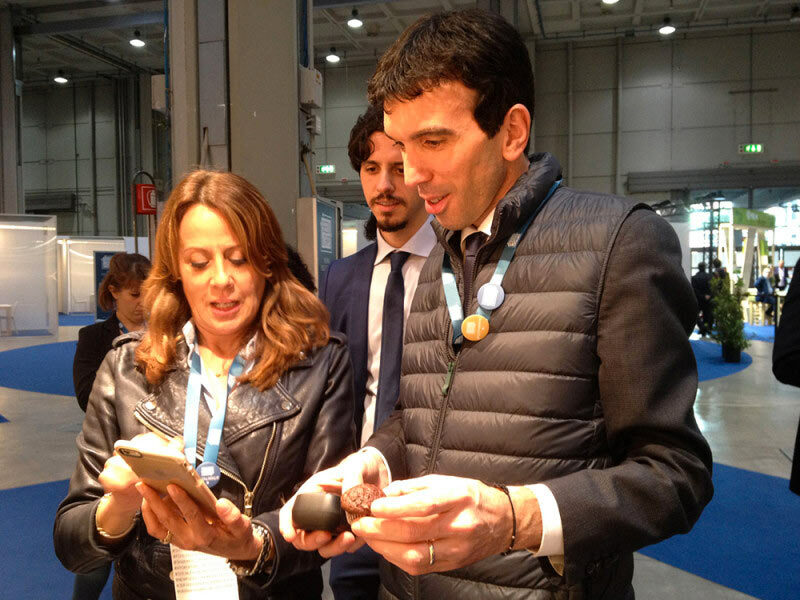 Dr. Maurizio Martina, Italian Minister of Agriculture, scanning food with the Tellspec’s food sensor. 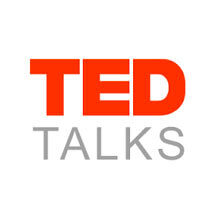 Tellspec has been selected to take part in TEDMED’s “Hive” in November 2015 in Palm Springs, California. 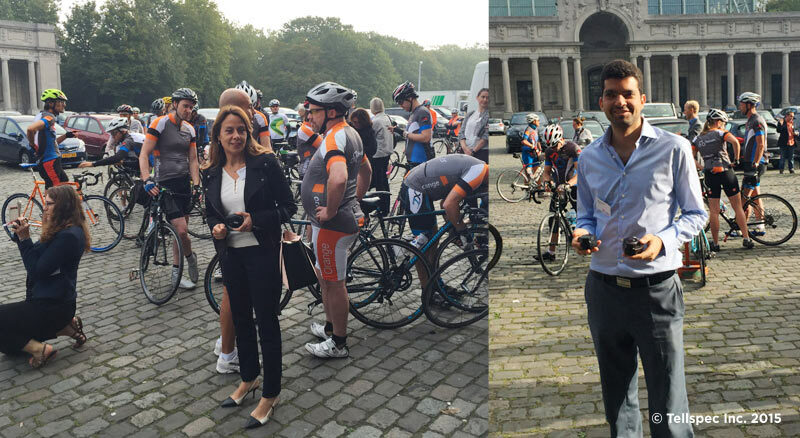 Tellspec to participate in the 3rd edition of the mHealth Grand Tour, September 3 and 12, open to cyclists with Type 1 and 2 diabetes, along with other sponsors such as Orange, Samsung and Intel. 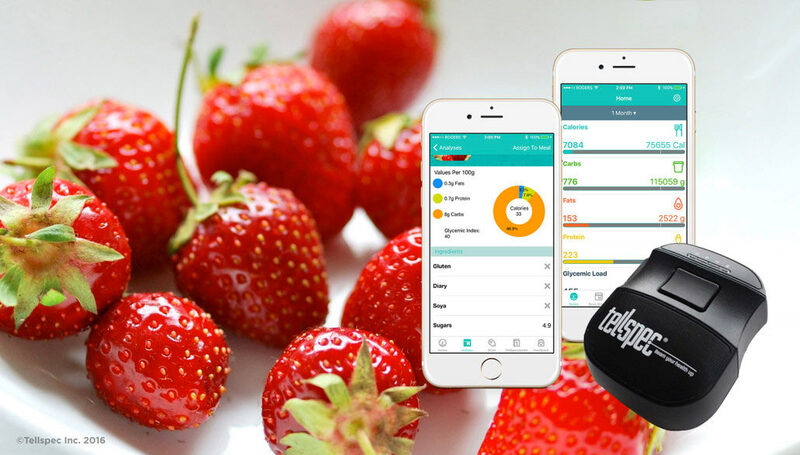 A Gadget That Scans Your Own Food. 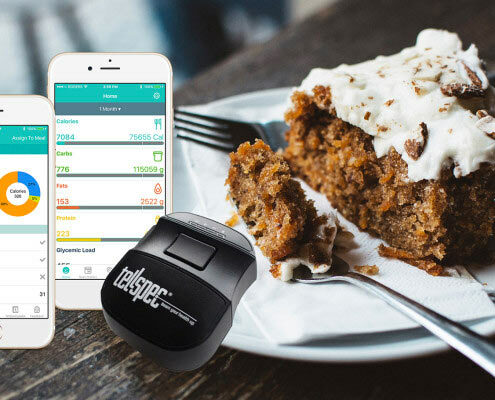 Is Tellspec About to Change the Food Industry? 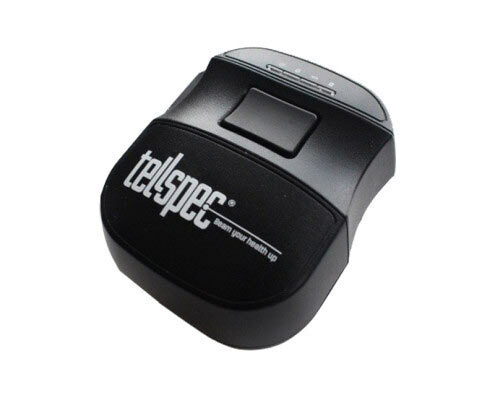 Post by: TellSpec Staff on August 1, 2017.